If you happened upon a pristine BMW E30 M3 today, even the automotive neophytes among us would have to bite their tongues to keep from whistling. (The first-gen of the M3 line made it on our list of timeless ‘80s rides.) On the other hand, if you were to hop in the driver’s seat and take her for a spin, you might be yearning for your Prius after a few laps — just look at the dated leather interior and plastic dashboard of this ‘89 M3 that sold for $100K. If you’re going to drop six figures on a classic car like this, most buyers will want fabrics and tech worthy of the price tag. To do that, with all the love and respect this icon deserves, put your name down to reserve one of Redux Leichtbau’s limited-edition builds. Limited to just 30 models, the Redux E30 M3 is a restomod — that is, restoration with modern upgrades — in which the original car is presumably “enhanced and evolved.” In more specific terms, that includes re-engineering the naturally aspirated 2.5L four-cylinder S14 engine, or even upgrading to a turbocharged variant which makes about 400 ponies. As in seemingly all high-performance restomods, a generous dollop of carbon fiber is applied. And thankfully, there’s a digital display and re-trimmed seats. What you’ll really appreciate, though, is the golf ball shifter. Although it should be noted that future builds will differ according to the whims of the buyer. 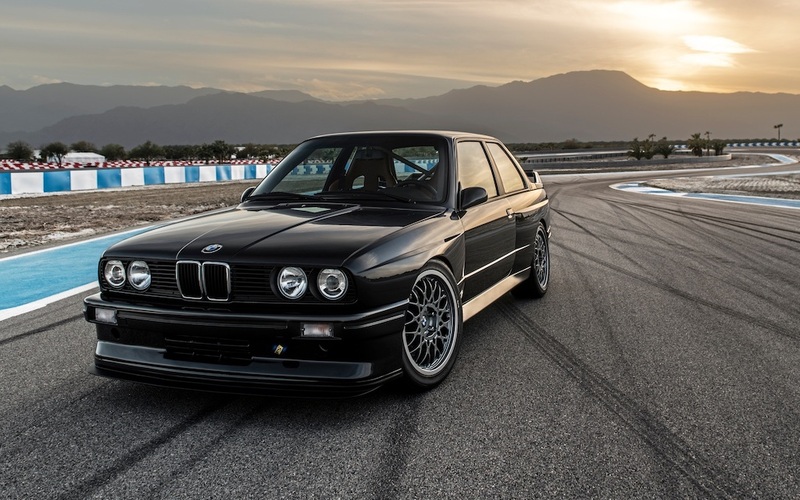 Petrolicious originally reported on the endeavor back in 2015, quoting Redux CEO Simon Lord as saying that this is the E30 M3 that BMW “should have built.” I don’t know about across the pond, but here, those are fighting words. But with at least four years of development leading up to this first iteration, they’ve certainly earned the right to say it. The photos here are of that first model, delivered to Southern California all the way from Redux Leichtbau’s UK HQ, and the second is now spoken for, meaning the clock’s ticking on the other 28. We’d normally say get your name on the list, but as pricing isn’t listed, maybe go ahead and ask about that first here.